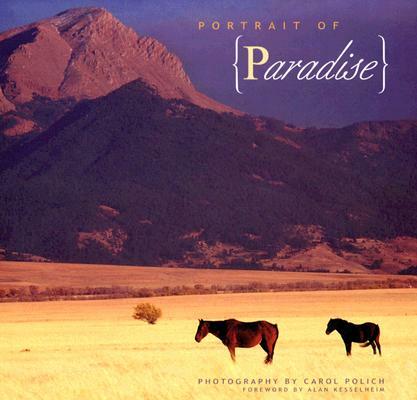 Showcasing the dynamic work of Bozeman photographer Carol Polich, paired with an inspired foreword by Bozeman writer Alan Kesselheim, Portrait of Paradise is a timeless tribute to the grandeur of the Gallatin and Paradise valleys and Yellowstone National Park. Polich shares 127 of her finest photographs taken during her decades of travel to the mountains, meadows, rivers, and ranches of this unique slice of southwestern Montana and northeastern Wyoming?with dog Oliver by her side. Watch bison move through the mist in Yellowstone National Park, experience the rapids of Yankee Jim Canyon on the Yellowstone River, watch a thunderstorm roll through the Paradise Valley, stroll through historic downtown Bozeman, and experience the Old West of Virginia City.